As part of the release of our noise generating plugin, ‘Noize’, I am interviewing the Denise team to find out about their roles in the development process. JD Young is one of the founders of Denise and the lead developer of the plug-in range. As well as Denise, he is involved in various other projects including a book on mastering and he is the lead developer for another audio plug-in company. I wanted to ask him about how he developed the plugin, about his background and how he became an audio plugin developer. Joe: Hey JD, or can I call you by your real name? Jochem: Hi Joe! JD or Jochem are both fine with me haha. My full Dutch name sounds pretty much unrecognizable when English folk pronounce it 🙂 My initial and last name ‘J. de Jong’ though, in the Dutch language, sound almost identical to my writers’ alias ‘JD Young’, in the English language. Jochem: Well, most of my adult life I have worked as a freelance composer and producer for artists, bands and short films, while on the side teaching guitar and songwriting. I got really interested in the art of mastering in my early twenties, which led me to write a book for home studio producers about the subject. After successfully self-publishing this book in The Netherlands, I decided I wanted to create my own mastering plugin bundle as well, which eventually got me where I am today: being part of different companies and projects developing audio plugins. At the moment, I am the lead plug-in programmer at SoundSpot and at Denise. 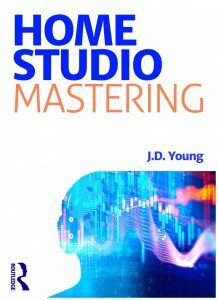 In my spare time I’m working on a few smaller projects as well, one of these being the recent international re-release of my book “Home Studio Mastering” through publishing house Routledge / Focal Press, with the accompanying mastering plugin bundle I created for it. Joe: Your book about mastering, can you tell us a bit more about that? I understand it has been in the pipeline for about ten years. Jochem: Yeah, I started working on it halfway into my twenties, but it just got published ‘for real’ internationally a few months ago – I’m 36 years old now. It can be difficult to overcome the challenges of working in a home studio if your goal is to commercially release your own music, but I think I’ve figured it out after all this time. This book is my way of sharing these experiences with like-minded music producers around the world. It’s very much set up as a step-by-step learning method, and includes a one-hour mastering workshop using the accompanying plugin bundle, to give the reader a controlled real-world experience of the mastering process. Joe: What is it you do for Denise then exactly? Jochem: I am one of the original founders of Denise, so I am closely involved with the brand and company direction as a whole. However, most of the time I spend developing plugins. At the moment I’m working on the ‘Denise Essentials Series‘. In addition, I occasionally write content for the Denise music production blog. Joe: And when you’re not working for Denise what else are you doing? 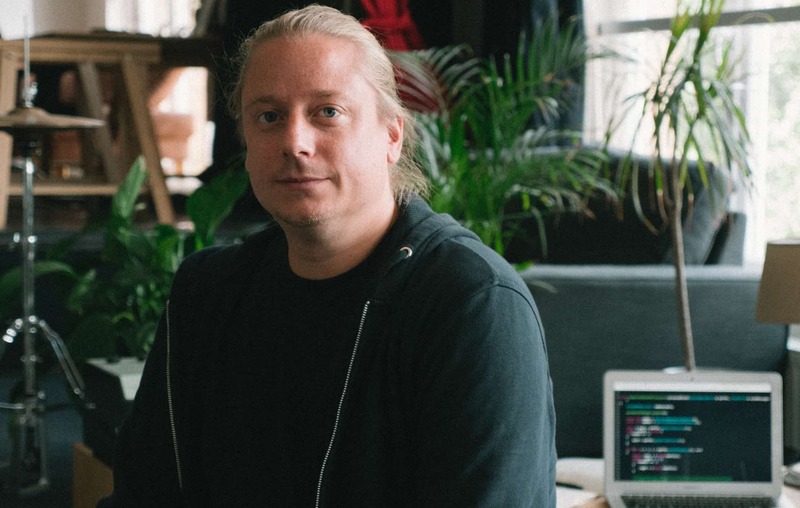 Jochem: I am part of several other projects, but most of my time I spend building plugins for SoundSpot, a plugin company I am a part of that grew very quickly the past two years. In addition, with the help of several friends and colleagues I have taken the first steps to create an academy website that will feature different courses for musicians, music producers and novice programmers who want to understand the inner workings of the audio plugins and virtual instruments they use on a daily basis, or who want to get into audio plugin development themselves. Joe: And how did you get into plugin development? Was it something you have been formally trained in or was it a passion project that became a career? Jochem: I have not been formally trained in programming or in audio engineering. I’ve just always had a natural drive to learn, create and undertake new things, especially together with other creative friends and entrepreneurs. After finishing high school I thought about getting formal education as a writer, composer or audio engineer, but I had a clear idea of the things I wanted to learn and could not find a dedicated educational program that didn’t involve having to learn other stuff that didn’t interest me. So, I took the autodidactic road and started my own projects and business trying to build something lasting for myself. I’ve had the chance to work with a lot of inspiring people over the years, and never regretted this decision. In fact, I probably would never have discovered my passion for programming audio plugins without having such diverse experiences, because I realise now, in hindsight, what a rare combination of niche skills and interests plugin development requires. You can’t really go to school for that as far as I know. Joe: So the Noize plugin, the competition winner. What was it that made this idea appeal to you as a developer? What made you want to develop this? Jochem: I feel adding noise is a sort of a secret weapon when it comes to music production, either for subtly enriching digital sounds that are overly clean, or as a powerful effect that gives character and presence to beats, lead instruments or build-ups. It’s often quite a hassle though, to blend noise with your tracks in a musical and controlled way, so Jamie’s idea for the Noize plugin just made so much sense. As I developer, I thought it was a great challenge to come up with an adaptive algorithm that really shapes the noise to the source signal, as if it were part of it in the first place. Not just some type of gate. In the end we decided on an algorithm that applies the actual volume envelope of the source signal to the added noise, and lets you adjust the rise time and fall time of the noise. This gives you full control over the behaviour of the noise, and makes the plugin sound natural for both sustained and percussive sounds with very little effort. Also, you are able to mute the source signal to further process just the adaptive noise signal in any way you like. You can choose between several types of noise, add drive for more impact and use a low pass and high pass filter for additional shaping. It’s a simple but elegant idea. A perfect fit for Denise. Joe: Can you give us some examples where this plugin would work well on a mix? Jochem: If your are working strictly in-the-box, many synths, bass instruments and samples will be pre-processed and oftentimes sound very clean. Any of these lead-type sounds can be easily enriched with the Noize plugin, giving them much more character and presence in your mix. With low rise and fall times the plugin really responds well to sounds with sustain, but with a higher fall time, it works really well on drums and percussive instruments as well. Especially if you use the rise time to make the noise ignore the initial transients, you can really blend in the noise with more percussive tracks in a very natural way. Also, if you are creating a riser of build-up effect, using automation to increase the amount and coloration of noise over time, can really give a powerful boost. And because you can mute the source audio as well, you can for example apply distortion and reverb to just the noise, creating all kinds of creative effects. It’s a very versatile tool.